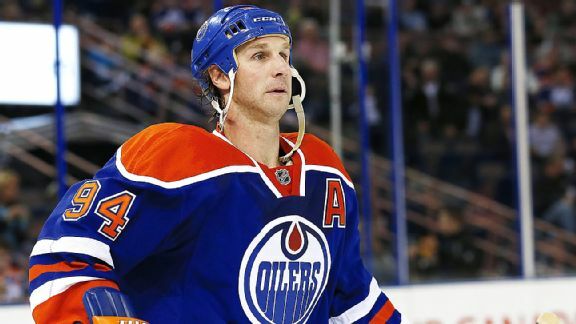 Edmonton Oilers forward Ryan Smyth is retiring at the end of the season. NEW YORK -- Edmonton's Nail Yakupov snapped a 1-1 tie with just 1:38 left in regulation to end the Rangers' four-game winning streak and give the Oilers a 2-1 win at Madison Square Garden Thursday night. Edmonton Oilers forward Taylor Hall is expected to miss four weeks after injuring his left knee in a game on Saturday. 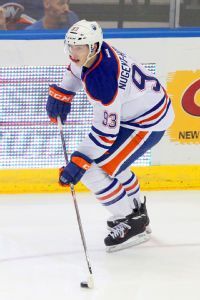 The Edmonton Oilers have a young, talented roster and some veteran leaders, but they're still trying to build a winning culture, writes ESPNNewYork.com's Katie Strang. Sitting 14th in the West with a 9-11-5 record, the Edmonton Oilers aren't meeting pre-season expectations of competing as a playoff-bound team. Which leads some to wonder if head coach Ralph Krueger is in danger of losing his job. Still recovering from offseason shoulder and wrist surgeries, Ryan Kesler must report to Rogers Arena every weekday morning and will still be paid his full salary until cleared for action. A lengthy hearing before the Alberta Labour Relations Board about the legality of the NHL lockout ended without a decision Friday night, a spokesperson for the ALRB told ESPNNewYork.com. No decision is expected until early next week.